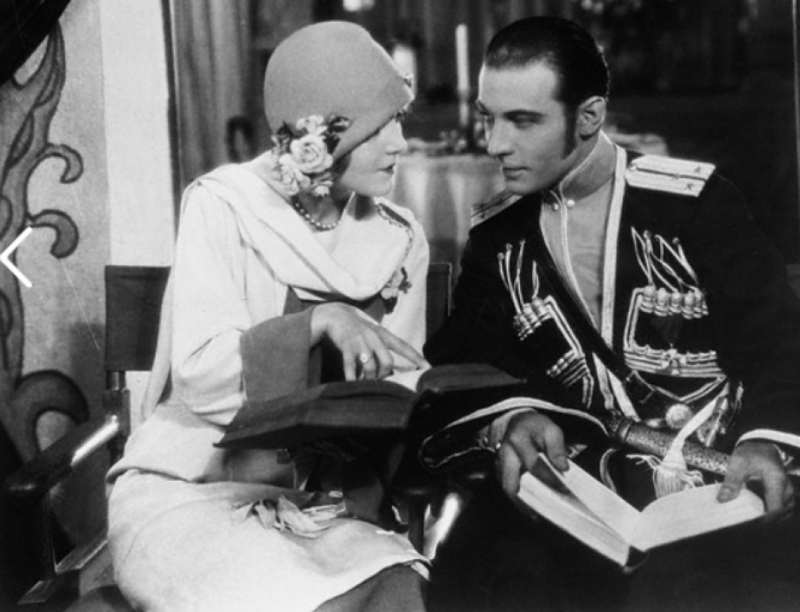 Rudolph Valentino sat in his suite in the Ritz-Carlton yesterday and admitted that he was “all in the dark” about Mrs. Valentino. They parted two months ago for a marital vacation, she steaming off to Paris and he remaining under the Kleig lights of Hollywood. Valentino came here yesterday, and he sails for the other side on Saturday. Mrs. Valentino is scheduled to arrive on Tuesday aboard the Leviathan. But if the Valentino’s patch up their differences, based chiefly on her demand for a career, the first overtures will come from her. Valentino made that clear, just as clear as he made emphatic his distaste for baggy trousers and other vivid habiliments. Valentino remarked that Oxford bags appeared to be the exclusive penchant of young college boys, said he preferred marrow trousers and a longer coat. He figured that wide trousers and short coats would make him appear shorter. However, he summarized, clothes should not be of importance in the life of any man. What plans had he for his stay in NYC before the boat took him away for two months? Well said, Valentino he will say as many good plays as possible. That will be the most frequent item on his calendar. Then, when he gets abroad he hopes to spend Christmas and New Years in Rome with his brother who may become his continental representative. And above all things, he wishes to rest and relax. When he feels sufficiently eased he may drop in to see Sabatini and Ibanez in search of good movie plots something he finds scarce these days.